2005. That is the last time Valentino Rossi was on pole at Jerez. Eleven years ago. If you wanted an illustration of just how remarkable Rossi’s career is, then the dramatic way he snatched pole position on Saturday afternoon is surely it. At the age of 37, after the incredible emotional blow of 2015, Rossi reinvents himself for the umpteenth time, learns how to qualify better, makes it three front row starts in a row – for the first time since 2009 – and takes his fourth pole position since the start of the 2010 season. Motivation, thy name is Valentino Rossi. We shall talk about how this happened later, but first, back to 2005. There are so many parallels with that weekend, it is impossible to resist the temptation to explore them. In 2005, there was this fast Spanish rider who dominated almost every session. It was only during qualifying that Rossi seized the initiative, putting nearly half a second into Sete Gibernau. Race day was even more dramatic. Rossi on the Yamaha, and Gibernau and Nicky Hayden, on two different factory Hondas, broke away from the pack. Hayden could not match the pace of the two others, and had to let them go. A tense battle unfolded in the laps that followed, Rossi stalking Gibernau for most of the race, taking over the lead with a few laps to go, then handing it back after making a mistake into the Dry Sack hairpin on the last lap. The pair swapped positions with audacious passes through the fast right handers leading on towards the final corner. The infection of the MotoGP paddock is almost complete. 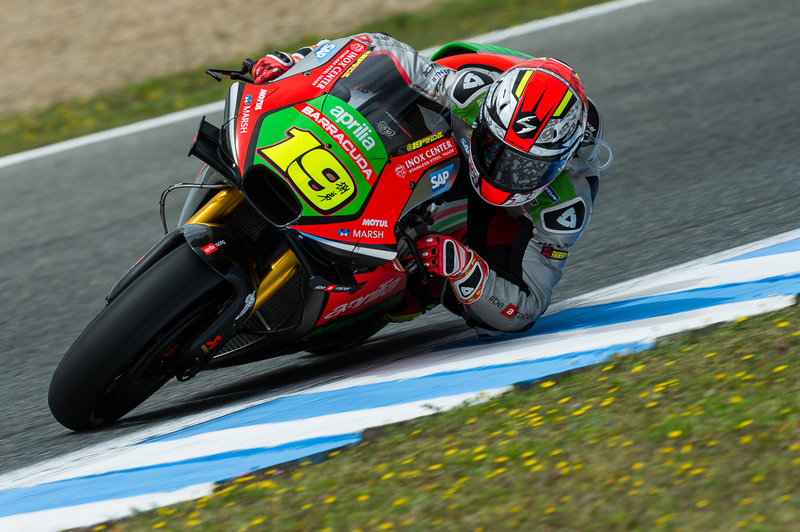 At Jerez the last of MotoGP’s factories fell to the winglet virus. Aprilia debuted some massive double decker items on the nose of the fairing. Suzuki brought a more modest pair, sitting below the bike’s nose. And Honda’s case of winglets grew more severe, the tiny side-mounted winglets replaced with much larger versions, akin to the early Yamaha ones. The only holdouts are most of the satellite teams, and even they are starting to look longingly at the mustachioed factory bikes. That had been the tenor of rider comments on winglets from the moment they first started to appear at the start of last season. But at Jerez, we finally heard from a rider who was unashamedly enthusiastic about the wings. 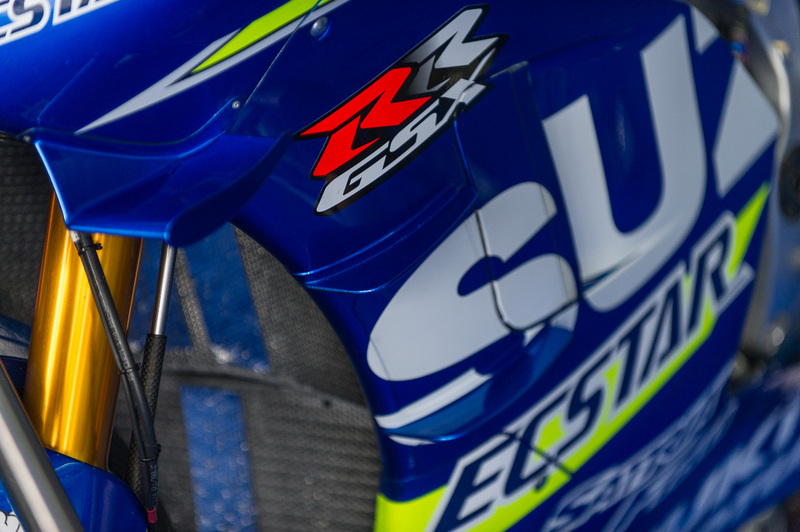 Aleix Espargaro had spent Thursday night pleading with Suzuki engineers to be given a chance to try the winglets during the weekend, instead of waiting until the Monday test, following the original plan. It has been three years in the making. Ducati have been chasing Jorge Lorenzo for a very long time, almost since the moment Gigi Dall’Igna took over as head of Ducati Corse. Dall’Igna came to Ducati with a master plan. “Ducati had a plan when we started with Gigi at the end of 2013, which was to develop a competitive bike and – once the bike was competitive – to attract one of the top riders,” Ducati MotoGP boss Paolo Ciabatti told a specially convened press conference on Thursday. The candidates who qualified as “top riders” (for the linguists, this is the English phrase the Italians use where English speakers would use the term “alien”) are few and far between. Ciabatti made it perfectly clear what he meant. 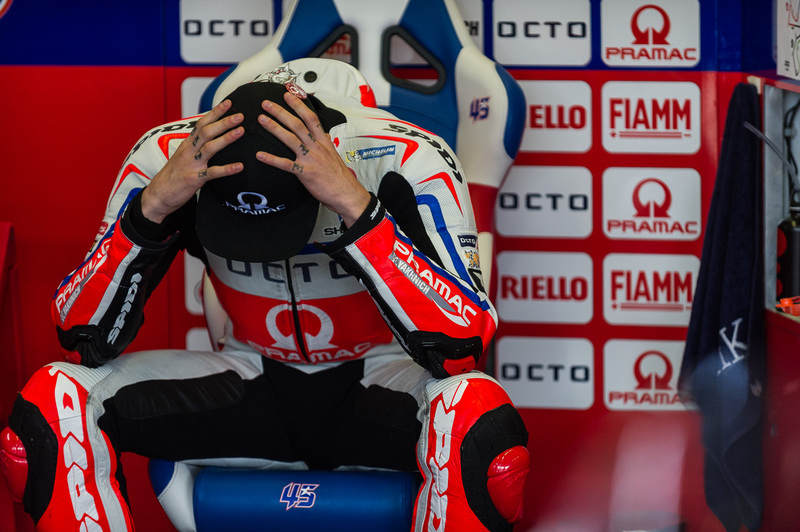 It’s the worst kept secret in the MotoGP paddock right now, and the flat refusals to talk about it, by those involved, hasn’t helped the matter either. What are we ranting about? 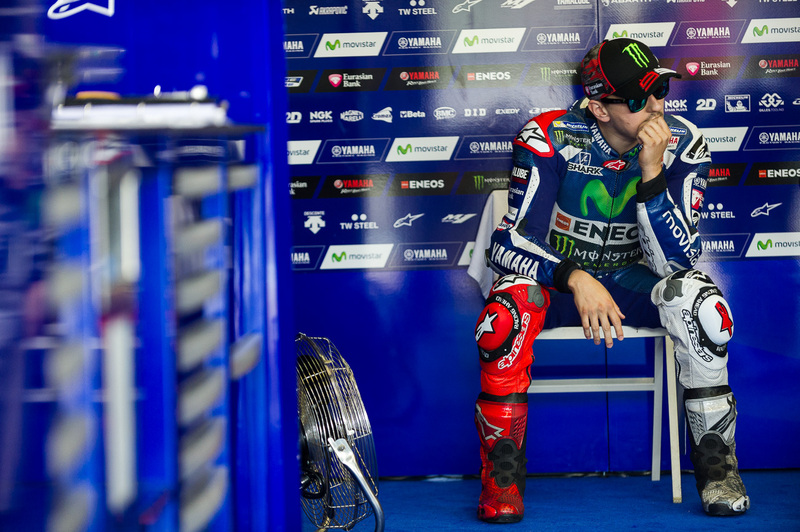 Jorge Lorenzo moving to Ducati Corse next year, of course. There’s been so much smoke around this fire for the past two weeks, and it was obvious in the pre-event press conference that the MotoGP press was hungry for some confirmation to the speculation that has been circulating recently. We were sadly disappointed. But, that hasn’t stopped more intrepid scribes from peddling around strongly supported rumor as fact, as virtually every MotoGP journalist expects Ducati Corse and Jorge Lorenzo to unveil their marriage when MotoGP lands in Europe next week. While having a quick look through some pictures from Jerez, I stumbled across this one from the pre-event press conference that made me chuckle. I thought it would make for a funny “Caption This” post for the readers of Asphalt & Rubber. I’ll start us off with: M.M. : “I’m a little concerned Dovi. The instructions said the swelling should go down within 4 hours. That was 5 hours ago and it still looks like this. With the dust settled on the Spanish Grand Prix, the serious business of testing got under way at the Jerez Circuit this past Monday morning. With a live track for eight hours, this is invaluable time for riders and teams to assess new parts, fine-tune existing parts, and go in search of the elusive setup. For a photographer, a test is an all together more relaxing experience than a race weekend. With so much time available you can linger at locations and take your time wandering around the track. Additional locations become available as the advertising boards, which are usually too high to shoot over, have been removed. Pit lane is almost deserted, and provides opportunities that are harder to pick out on a race weekend. With that considered, I will leave you with the gallery below from Monday’s test.